To celebrate my last day at home, my mom took me on a spa day. It was the perfect way to spend some quality girl time together and to relax after tons of work for the move and before the stress of a cross-country drive. 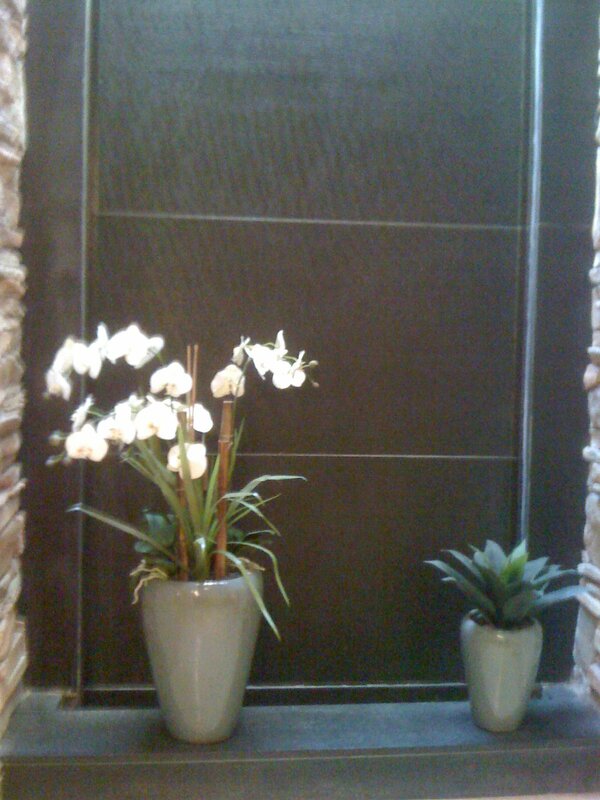 I took this photo of a waterfall wall in the spa because it was so pretty and tranquil. I would love to have one of these in my home someday! Many of the photos that I use are not my own, and I do not want anyone to think that I am claiming that they are! When possible, I will link the photo to its source. Please understand that this is not always possible, but I will do my best! In addition, I love providing my own photos to share with you. These photos are still my property. I do not mind if you pin them or share them, but make sure to link them back to the original source. In addition, none of the photos are meant to be sold or used for profit. Thank you!